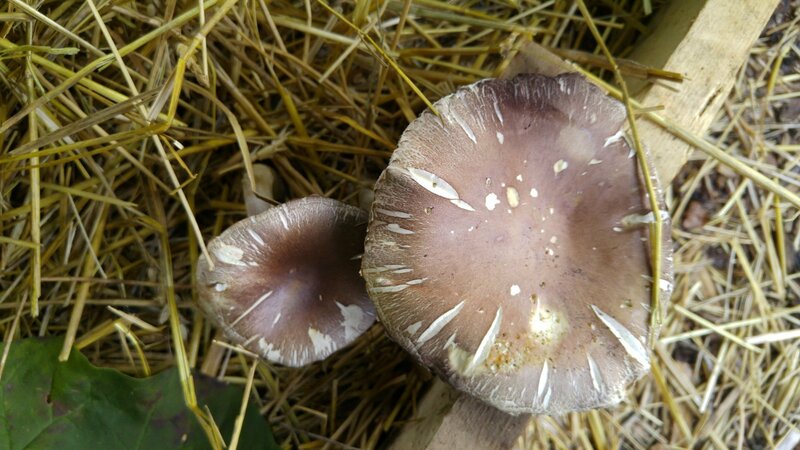 Easy to grow, easy to identify and super tasty to eat (like potatoes cooked in a light wine), King Stropharia is one of the top choices for beginners wanting to grow mushrooms outside. This saprophytic mushroom is a great addition to your garden as it is great at breaking down woody debris and organic matter releasing nutrients back into the soil. This makes it a great companion to many plants including corn, potatoes, squash and zucchini but also a welcomed addition to disturbed areas like garden pathways.